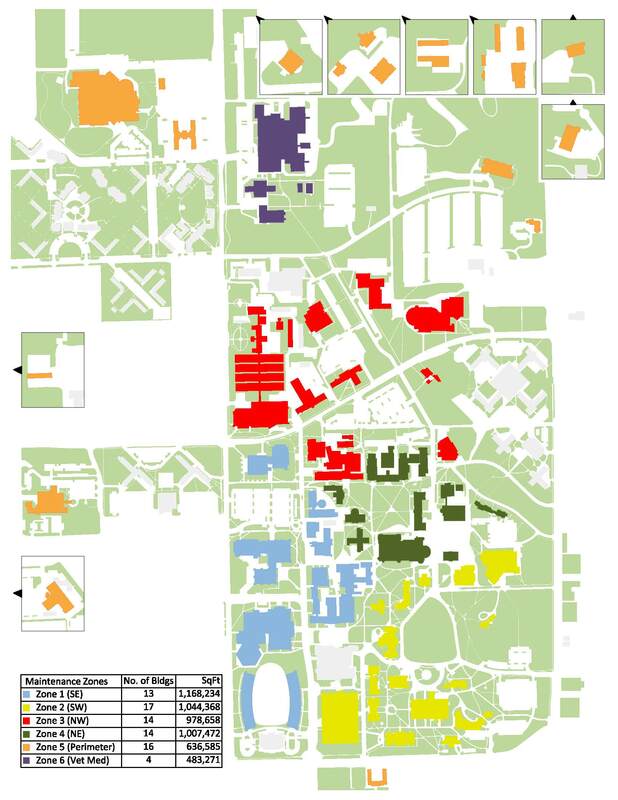 Campus is divided geographically into 6 work zones: each zone has a Zone Manager and a staff of qualified trade workers for repair of carpentry, electrical, plumbing, and HVAC issues. These employees are assigned to building maintenance work. Departmental work requests and projects are addressed by employees assigned starting with a Service Request.